The possible effects of screen time and social media on children's mental health are much in the news at the moment. But the mental health of the youngest in our society is complex and can be affected by many factors. 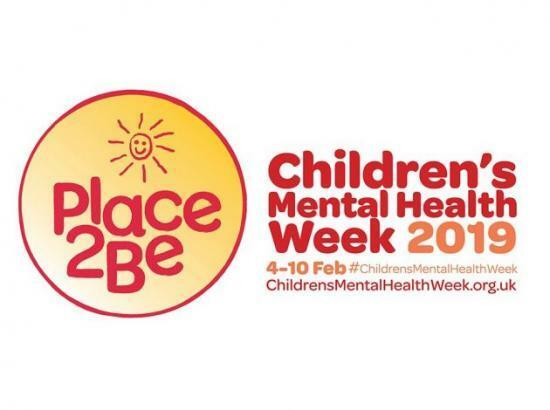 To mark Children's Mental Health Week and Time To Talk Day, Tim Vizard explains how ONS is working to improve the evidence base. Recently ONS has collaborated with NHS Digital and NatCen Social Research, to produce official figures on the mental health of children and young people in 2017. This was the first time this had been done in nearly 15 years, a period that has seen a lot of change affecting the lives of children and young people. We found one in eight 5 to 19 year olds experienced difficulties with their mental health. Think about it: that's three children in a classroom of 24 children. Our work provided the first official estimates of the prevalence of mental disorders* in children aged 2 to 4 years old. We found that 1 in 18 preschool children experienced difficulties with their mental health and that boys (1 in 15) were more likely than girls (1 in 24) to have a mental disorder. Identifying mental disorders in children at the earliest opportunity is important as research has shown that the early years of a child's life is a foundation for lifelong emotional and physical health as well as education and economic achievement. As you may expect, rates of mental disorders were higher in older children than younger children. In primary school aged children (5 to 10 year olds), one in ten had a mental disorder, increasing to one in seven children of secondary school age (11 to 16 year olds). One in six young people aged 17 to 19 year olds had a disorder, with rates much higher in girls than boys. We also found that young people with a mental disorder were spending more time on social media, and were more likely to compare themselves with others on social media compared to their peers without a mental disorder. Given the rates of mental disorders in school aged children, the role schools play in supporting the mental health of their students is key. A poll by the Anna Freud National Centre for Children and Families found that 92% of primary school teachers in England felt that primary schools have a crucial role to play in identifying pupils with mental health issues, highlighting the importance of understanding mental disorders in children at a young age. Our research also found children of parents who had poor mental health were more likely to be identified with a mental disorder themselves than children whose parents showed little to no evidence of a mental disorder. Whilst our work was not able to say definitively whether poor parental mental health led to mental disorders in children, there are various pieces of research showing the impact that the mental health of mothers and fathers can have on their children. NHS England offers support for new mothers and has recently taken an important step to also directly support new and expectant fathers and partners. This support includes mental health checks and treatment to support parents during the challenging early stages of starting a family. Other research by ONS has looked at the impact loneliness can have on the physical health, mental health, and personal well-being of young people. The findings showed that there were particular characteristics and circumstances linked to children saying they were often lonely. These included: their age (with younger children reporting frequent loneliness more than older children); receipt of free school meals (with those receiving free meals reporting more frequent loneliness than others); and the type of area where they lived (with city dwellers reporting more frequent loneliness than those living in towns or rural areas). Children’s Mental Health week offers us all a chance to focus on the mental health of the children in our lives. Whether you’re a relative, teacher, or friend it’s important to be aware of how the mental health of those we care about is not forgotten. There are a range of charities you can contact if you would like to know more about this important area, including Place2Be and YoungMinds. * In our research we used the term mental disorder. This reflects that we used an internationally recognised clinical diagnosis tool to identify symptoms in children which causes them significant distress or impair their functioning. While parents/carers may identify some these traits in their children, this survey involved experienced clinicians who distinguished between behaviours which would be expected of children and behaviours which would be considered indications of a mental disorder.